It’s a country-rocking day here at DisClaimer. Ashley McBryde, Luke Combs, newcomer Chuck Edson and Darius Rucker and his pals are all offering tempo tunes for your summer playlists. So are Disc of the Day winners Dierks Bentley & Brothers Osborne, as well as DisCovery Award winner Mags. – There is something muffled and cloudy about this sound. He has a rather raspy vocal delivery to start with, and a mix this muddy doesn’t enhance it in the least. The abundant, rocking electric guitar and too-busy drumming are also demerits. – A frothing inferno of excitement. Fiery, intense, furiously rocking, blazing, fabulously sweaty and brilliant. If this isn’t a No. 1 country summer hit, I’ve never heard one. -Upbeat in the face of heartbreak. He might be splitting, but she’s a tough cookie. “You took my time, but not my heart.” A stuttering, nervous rhythm track and a propulsive arrangement underscore her survivor mood. – The joys of living in the heavenly audio of the family’s car radio. The peppy production and her sunny delivery put a big ol’ smile across my face. This is one dreamy, dynamite performance. Play the heck out of it. – Marty’s voice can still melt solid rock. And given a solidly country lyric this powerful and heartfelt, this band still stands head and shoulders above the rest. This is lump-in-throat stuff. It also blows the earlier Kenny Chesney version of the song right out of the water. – His hearty singing voice has never sounded better. The song is a super hooky heartache lament with plenty of oomph in the tempo. He’s a mighty, mighty man. – The throbbing, steady tempo sets the “outlaw” mood from the get-go. His drawling, urgent delivery of the wanderlust-biker lyric is solid. A little bit of echo would give the vocal a “wet” quality it needs to be more effective. – And speaking of outlaws, here’s a strummy, jangling, toe-tapping evocation of that era from a man who grew up in it. Unless I miss my guess, that’s his mom Jessi Colter singing harmony. Classic sounding. -More nostalgia. This time recalling honky-tonk great Lefty Frizzell and working-man poet Merle Haggard. Both singers phrase like their illustrious relations, but with more vibrato. The arrangement is languid and perhaps a tad too slow. The Hawaiian steel is super. 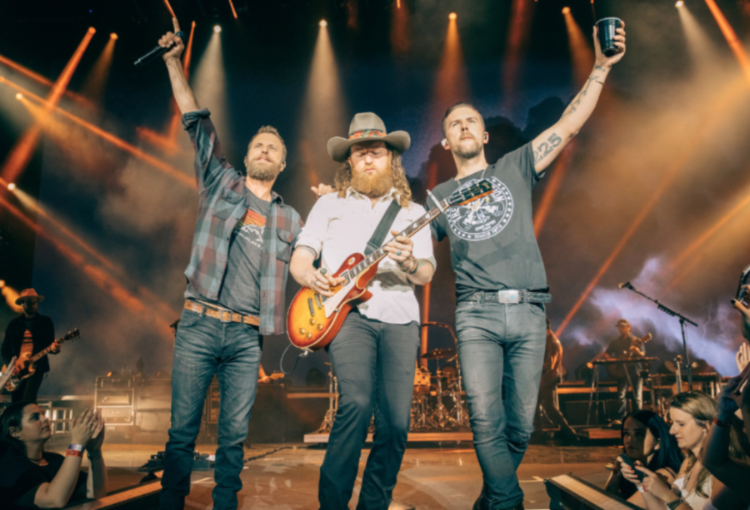 – The Troublemakers are Jason Aldean, Luke Bryan and Charles Kelley. The four whip up a bad-boy, rebel-rousing, honky-tonk sound. The religious right might bristle at this celebration of sin. But it sure is catchy.